SUBSCRIBE TO DARK JOURNALIST NOW! Get more options for listening and seeing these amazing Dark Journalist Episodes. By subscribing below you will receive instant access to all of the Audio Archives of the Dark Journalist show for streaming or download, along with full HD videos and bonus exclusive content and discounts on special events and more. Support our efforts to bring you the truth by subscribing today! Become a Member of Dark Journalist Now! SIGN UP FOR OUR SPECIAL DISCOUNT ONLY $60 FOR ONE FULL YEAR! 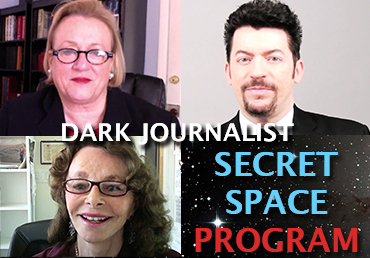 For a limited time you can receive access to the Dark Journalist Interviews High Quality Audio and Video Archives all for one low subscription fee of $60.00 yearly (Regularly $99)along with the full Premier HD videos and Special Bonus Features. Hit the Subscribe Button below now to get started! As soon as you've signed up for your subscription you'll receive an email with your log-in instructions. Use PayPal or if you prefer select the Credit Card option, it's easy! Start enjoying Deep Interviews right now with Top Guests as they reveal the profound truths of our modern world!